A week-long demonstration by refugees in Serbia has drawn attention to those stranded in makeshift camps, unable to advance into the European Union and seek asylum. A seven-day hunger strike organized by refugees along the Serbian-Hungarian border came to an end last Friday, when the strikers were disbanded by authorities. Many wore silver duct tape over their mouths, while holding signs that said “Fleeing war is no crime,” “Stop wars if you want to stop refugees,” and “Prove that humanity is still alive.” At least 12 required medical attention after refusing food, blankets and tents from humanitarian agencies. The demonstration — which began on July 22 by mostly young men from Afghanistan and Pakistan — reached around 300 people at its height, but was down to 60 men by the end of the week. Specifically, the strikers were demanding that higher numbers of refugees be allowed to enter the European Union through Hungary, but they were also expressing a generalized outrage at the mistreatment and inhumane conditions they’ve experienced while trying to pass through the Balkan countries. Despite not having their conditions met, the strikers succeeded in drawing media attention to the plight of those still stranded in makeshift camps along the Hungarian border, unable to advance into the European Union and seek asylum. Serbian authorities made official statements when the hunger strike came to an end on Friday, saying that refugees had met with a representative of the Serbian Commisseriat for Refugees and Migration and that a group of 100 men will be transferred to formal reception centers within the country. While such a gesture hardly addresses the inadequate conditions in these formal camps — or the complete lack of support for the 600 refugees who remain on the border in makeshift camps near the town of Horgos — it was nevertheless a minor acknowledgement of the protest. After beginning the hunger strike, several hundred men marched through the center of Belgrade and continued north to the Hungarian border, where hundreds of people living in tents are waiting for permission to cross the border into Hungary and the European Union. The march, which organizers dubbed the March of Hope, intended to cover a distance of about 125 miles in over 95-degree weather. 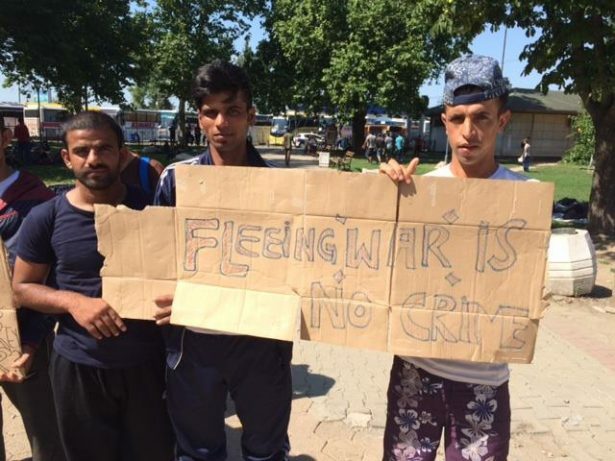 Facing extreme heat and physical exhaustion, many of the marchers stopped in the town of Sremski Karlovci and — unable to continue on foot — went north by train to the border town of Subotica. Vari applauded the marchers for their “human strength and courage,” while walking for three days in the oppressive heat, with terrible footwear and very little assistance. She said they were in “good spirits,” as they remained determined to continue protesting police violence and achieve safe passage into Hungary. Once they reached the Hungarian border on July 24, centered around the makeshift camp in Horgos, the men continued their hunger strike for the next five days. Wearing red hats as a sign of unity, the strikers refused all assistance, only accepting small quantities of water from humanitarian aid agencies. Each time the men were offered food and supplies, they discussed and deliberated among themselves to reach a decision. During the protest, the demonstrators, and other refugees in the Horgos camp, lit candles to commemorate recent terror attacks in Munich and Kabul. Benjamin von Wyl, a humanitarian volunteer on the Hungarian border, said the hunger strikers stayed in a meadow a thousand feet from the Horgos border camp. Although Doctors Without Borders and U.N. High Commissioner for Refugees both have a presence in the camp, independent volunteers and ordinary civilians were not allowed to approach the area or the men on strike. Von Wyl said volunteers were told by the Serbian Ministry of Internal Affairs that they must receive permission to enter the makeshift camp, thus cutting off many independent, non-state run media sources from documenting the strike. One of the strikers’ demands was for a higher number of refugees to be allowed into Hungary each day. Currently, only 30 refugees are allowed to cross the border per day — 15 from the Horgos camp and 15 from the nearby Kelebija camp. This is the result of Hungary completing a 280-mile border fence in March, which seals the country off to its southern neighbors, thereby stemming the flow of refugees into the E.U. bloc. Protest organizers told volunteers at Horgos that they would be satisfied if as many as 50 people were allowed to cross into Hungary each day. This would significantly reduce the current waiting time, which ranges anywhere from eight month to two years. According to von Wyl, the March of Hope brought together people who come from completely different educational backgrounds, nationalities and levels of religious adherence — and saw them all acting together as a group. Barred from entering what von Wyl refers to as “Fortress Europe,” refugees must seek other illegal routes to enter the free-movement Schengen Area. One option is to traverse dangerous territory on the Serbia-Croatia border by foot, which is still laden with unexploded landmines from the wars of the early 1990s. Another option is to pay smugglers exorbitant fees to be hidden in the backs of cargo trucks, while hoping not to suffocate among the shipping containers or be discovered by police. Refugees who manage to find a hole in the Hungarian border fence face a new policy that — if apprehended within five miles of the border — will result in them being arrested and sent back. Human Rights Watch reported in July that migrants on the Serbia-Hungary border have been abused by Hungarian authorities and seen their claims to enter Hungary summarily dismissed without consideration of their need for protection and asylum. 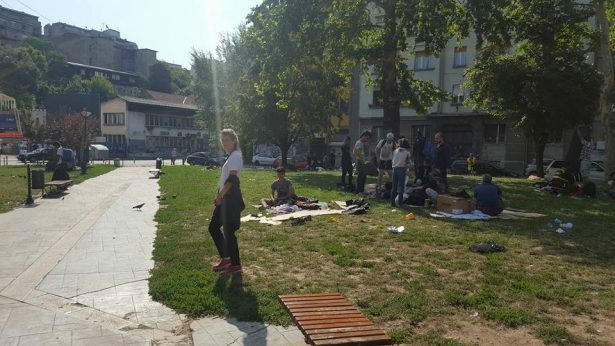 The hunger strike was sparked by the demolition of two parks in downtown Belgrade, Luke Celovica Park and Bristol Park, known colloquially by volunteers as Afghani Park and Info Park. Although there is a formal refugee camp outside of Belgrade at the Krnjaca Collective Center, refugees had been sleeping for months in the parks before being pushed out when city officials fenced off the parks to the public. Refugees in Serbia are increasingly vulnerable after the recent demolitions. In particular, the hunger strike evokes the frustration and unrest growing among young men, many of whom are traveling alone and whose prospects for reaching Western Europe are particularly slim. In some cases, these men receive less assistance from local aid organizations; at least one humanitarian organizations, the Miksaliste Center in Belgrade, stopped serving meals to men in July due to limited capacity and resources. Given this material instability, the challenges to organizing hunger strikers, or any coordinating resistance efforts, are numerous and substantial. Protesters are highly vulnerable, living in desperate conditions, lacking training and resources, and cordoned off from independent media coverage. In the case of the demonstrations at Horgos, hunger striking as a tactic for change can be seen as one way in which the deeply personal and religious ritual of fasting can be transformed into a tool for nonviolent social pressure. The vast majority of refugees in Belgrade are Muslims, who recently finished the month of fasting for Ramadan in the beginning of July. Although many refugees did not fast during Ramadan, the hunger strikers in Belgrade show how Muslim refugees, in some instances, have employed a form of discipline developed to demonstrate adherence to their faith, while also protesting the injustices they now face as displaced refugees far from home. 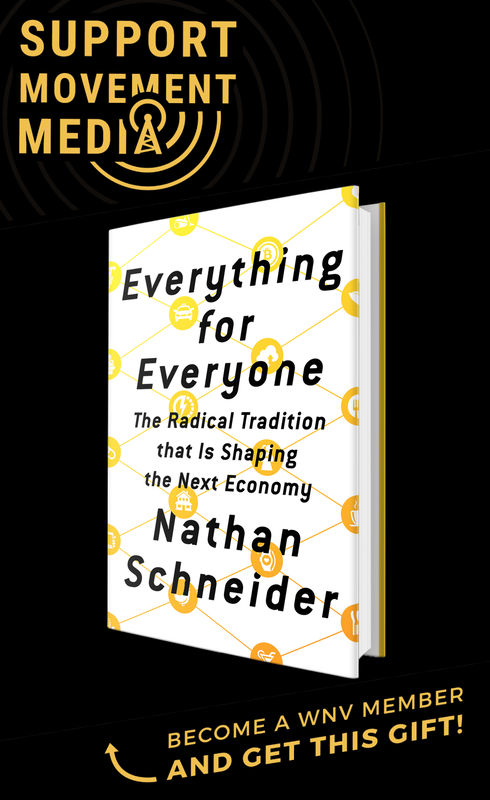 Nevertheless, organizers still face the monumental task of trying to develop clear demands and communicate them to a wider audience. At the same time, they must also recruit more refugees and migrants to participate in their efforts — all while maintaining discipline and coordination among strikers who come from vastly different backgrounds, speak different languages, and have recently experienced severe trauma and hardship. Afridi said that organizing the strike was a “troublesome job” and that he had difficulty keeping protesters organized, quiet and disciplined, especially as the men became weak and sick. Despite the overwhelming obstacles, however, this is not the first time refugees have engaged in nonviolent organizing and resistance to draw attention to their cause and force immediate action by government actors. In December, Eritrian refugees marched to city hall on the Italian island of Lampedusa, protesting the practice of forcibly taking refugees’ fingerprints, which — under the Dublin Agreement — puts them at risk of deportation to the country where they first entered the E.U. bloc, even after arriving further west in Europe. Protests also erupted in Greece after the closure of Idomeni camp in May, a place Greece’s interior minister described as a “modern-day Dachau.” After the camp was shut down, families were moved into even worse conditions, including warehouses without running water or electricity, which were described as “not fit for animals.” There were only six toilets for a thousand refugees, and no Wi-Fi, preventing refugees from making asylum claims. Despite their dire circumstances, refugees have continued to engage in nonviolent organizing to send a powerful message to European leaders about the importance of seeing their struggle in the larger context of the conflicts they are fleeing — and the universal human rights European leaders seek to uphold. Serbia is just one case in a larger regional and global crisis of human displacement, due to the spillover effect of violent conflicts in countries like Syria, Afghanistan, Iraq and Somalia. The Balkan migration route, the most-trafficked land route used by refugees fleeing into Europe, is on the frontlines of the crisis. While many European countries erect border fences and reduce their intake quotas, roughly 3,000 refugees remain in Serbia today, according to Aleksandar Vulin, Serbia’s Minister for Social Affairs. More than 100,000 refugees and migrants have traveled through Serbia so far this year. 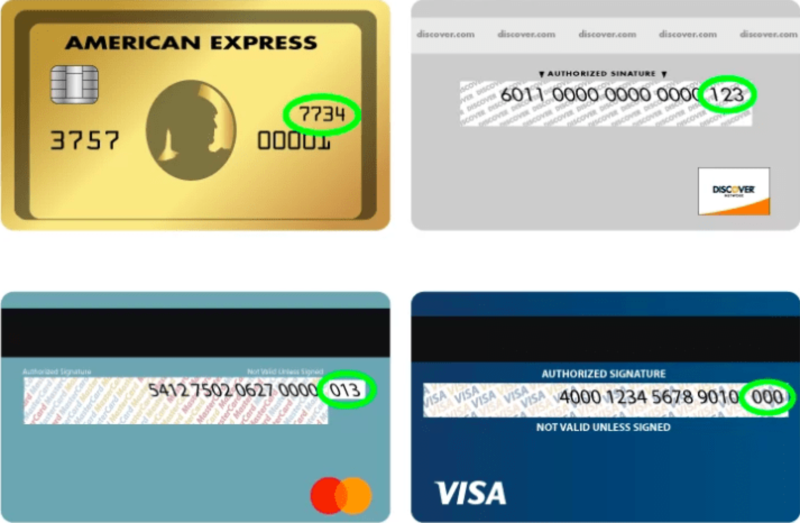 In 2015, the numbers reached over 650,000. Although it is relatively easy to claim legal asylum in Serbia, the vast majority of refugees are trying to reach the European Union because the economic situation in Serbia offers dim prospects for employment.